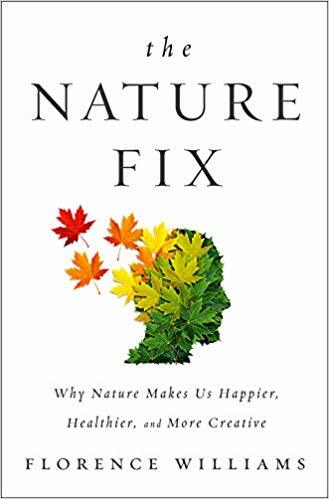 I just spent a bulk of the weekend finishing the book The Nature Fix: Why Nature Makes Us Happier, Healthier, and More Creative by Florence Williams. Of course, the irony is not lost on me (or my children) that I spent a bulk of my weekend indoors reading a book about the outdoors. However, I will say, upon wrapping up the book's epilogue today, I did go out and just sit outside for awhile to watch the birds at the bird feeder and study the Jackson Pollock-like fractals in our trees. (The latter of which I learned all about in the book.) Our 47 degree weather today is feeling remarkably warm in the sun after the frigid cold snap we had earlier in the week. 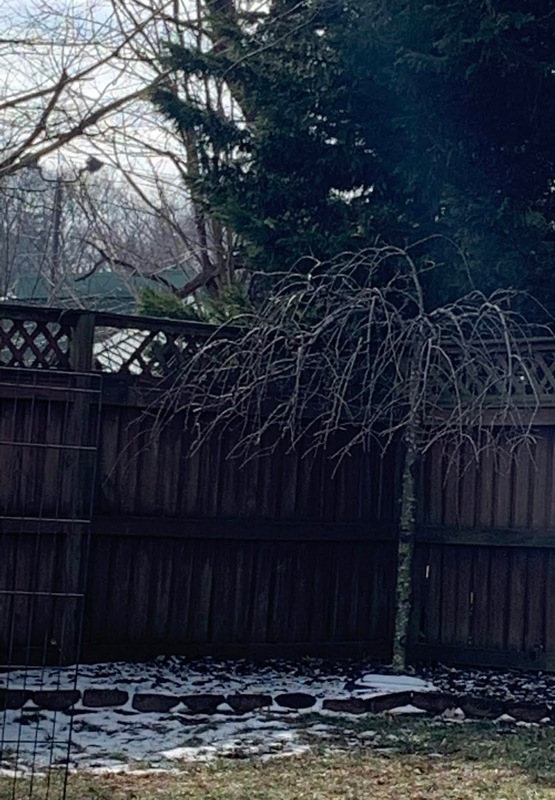 Hard to believe that 2 days ago we ended up with an early out for a sudden snowstorm and icy conditions--and now the melted snow water is running noisily through our gutters, with almost every evidence of snow disappeared. It feels like spring out. In fact, I've landed in one of my favorite writing places--my back patio, basking in the sun, looking at the trees as they fly between the trees and the frolicking squirrels as my fingers find the keys. As with any book I read, I find the information I've read swirling around, making its mental connections, becoming part of my DNA. (Of course that's the same with us all.) There are so many nuggets of wisdom in this book. It's reminding me of this past summer of counting my outdoor hours (inspired by 1000 Hours Outdoors), and how good I felt at the end of the summer. My 2019 hours are probably growing exponentially here today as I'm not innately a fan of the winter, preferring to hibernate over just about anything else. Many thoughts have me circling back to Richard Louv's Last Child in the Woods, making this an excellent companion piece to follow that book for those who want more. This book also connects with the reading I've done on brain studies, particularly when it comes to executive functioning and the elementary/teen brain & ADHD. Additionally, it deeply resonates within me as I look at our overly-techified world (and how that relates to my role as Lower School Technology Specialist). So as I've spent the afternoon pondering all of this, here's my next stop: a local park with my family and our overly-energetic dogger. 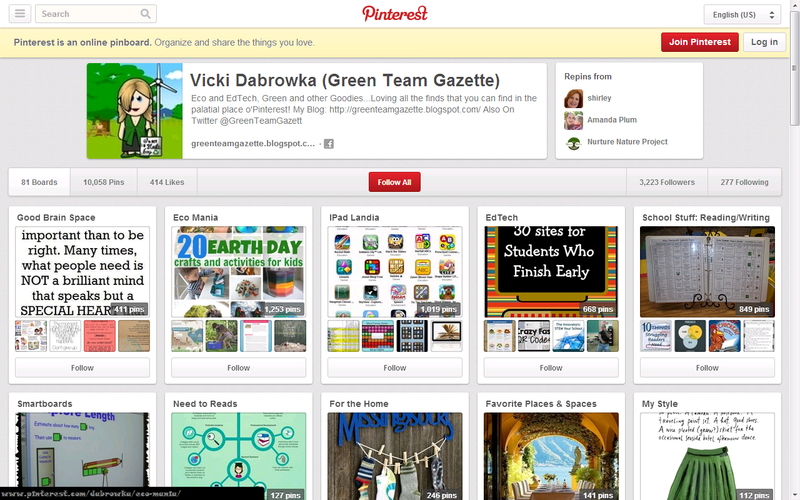 Purposely unplugging us all, and sharing some of my "Nature Fix" finds with them, hoping to re-inspire my very tech-friendly family get out and get what's good for them. For us all! Images from https://www.amazon.com/Nature-Fix-Happier-Healthier-Creative/dp/0393242714, other images from my phone!